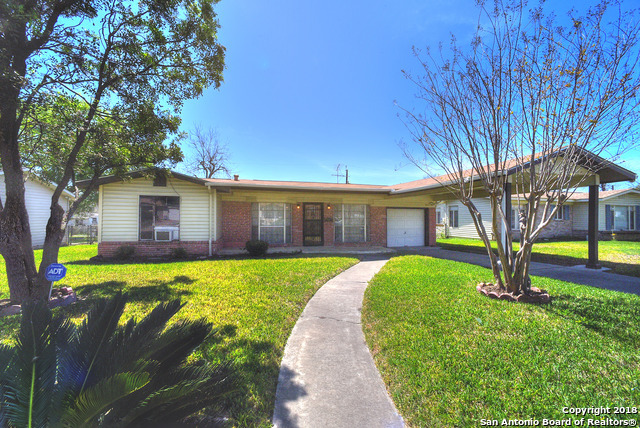 All DELLVIEW homes currently listed for sale in San Antonio as of 04/22/2019 are shown below. You can change the search criteria at any time by pressing the 'Change Search' button below. "Stunning mid century remodel - completely refurbished - must see to believe! Home has brand new energy efficient windows. Completely rewired w/ new main electrical service, completely replumbed w/new water lines, sewer lines and water heater. New central A/C & heating unit. Repainted inside & out. Luxury master bathroom addition w/custom tile shower and large walk in closet. All new cabinets, fixtures, appliances and granite countertops. Large backyard w/ privacy fence. 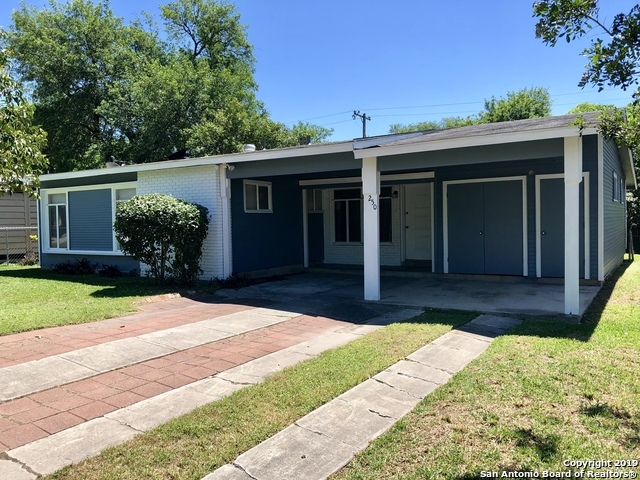 New concrete driveway and"
"Recently renovated Mid-Century Modern Home with great curb appeal and layout, with many recent upgrades! **Fresh new paint throughout** Updated dream kitchen with gas stove, gorgeous quartz counters, new cabinets, stainless steel appliances, new light fixtures, ceramic tile in the kitchen and bathrooms hardwood floors in bedrooms, new hardwood floors in living room, **New Central Heat and Air**, Large Detached two car garage! This home won't last!! Schedule your showing today!" 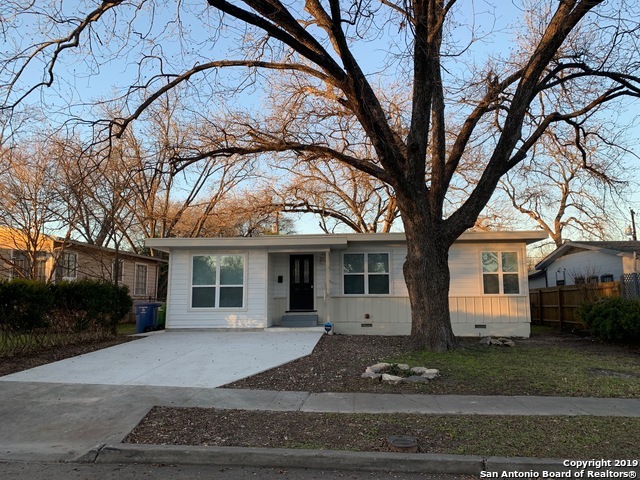 "Renovated 3 bedroom, 2 bath, home in north central San Antonio. Updated kitchen with granite counter tops and appliances. Remodeled bathrooms; walk-in master shower. Converted garage offers 4 bedroom and almost 200 sqft to home. Large backyard with patio area and storage. Recently painted, vinyl flooring and carpet, ceramic tile, fixtures." "Beautiful/Move in Ready! 3BR/2Ba, Open Floor plan.Renovated:fresh paint,new lights/plumbing fixtures/garbage disposer/granite counter in Master Bath and kitchen. Stainless Steel appliances. Brilliant hardwood floors throughout formal dining, living, breakfast area, hall & 2 rooms.New ceramic tile in the kitchen/Family room. Single garage & car port. Sprinkler system.Enjoy the cover patio & Big yard. Walking distance to the park and public pool. Great Location! 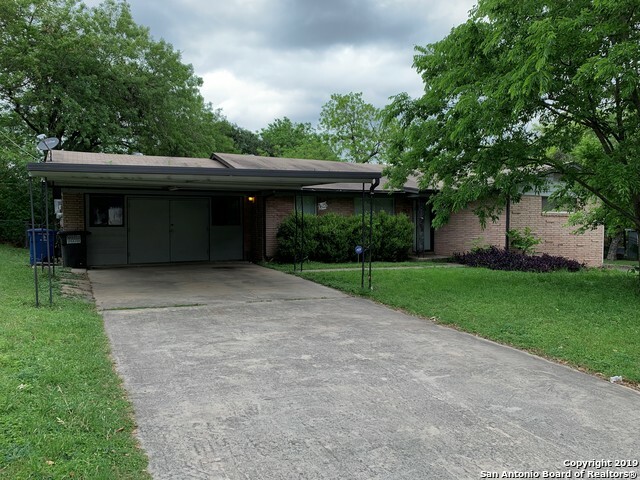 Close to Medical Center,410/IH10 &"
"Nice home w/2 bedrooms & 2 living areas. Updated w/new fixtures, appliances, ceiling fans & blinds. Clean & ready for new owners. Family Room is 11x20 and garage has been converted into a 10x18 living area w/tile floors. Interior has fresh paint & refinished hardwood floors. Kitchen has new tile floor & new SS oven/range & new SS refrigerator is included. There is a separate laundry room w/washer/dryer connections inside the home. Patio & fenced back yard. Available to show at any time. Bring us"
"Enjoy an easy commute to UTSA, LaCantera and downtown. Great fixer upper just waiting for your personal touches. Four sides brick. Comfortable front living area w/ window treatments, brick accent pony wall & ceiling fan. Retro kitchen featuring lots of cabinets, tile bksplsh & built-in oven & cooktop. Converted garage w/a/c unit but can still be used to park one car. Perfect for extra storage or workout area. Carport parking. Spacious backyard offers deck and mature trees. Home also has investor"